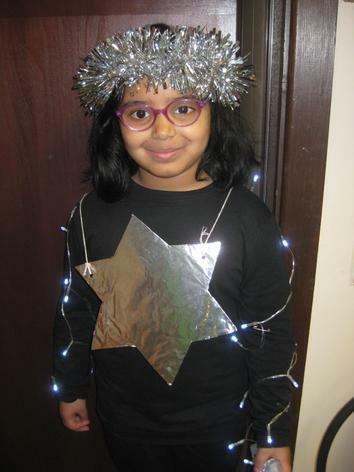 Thank you to all of the parents and families that supported our Christmas concert this year. 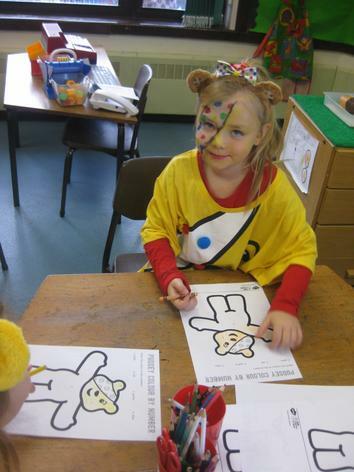 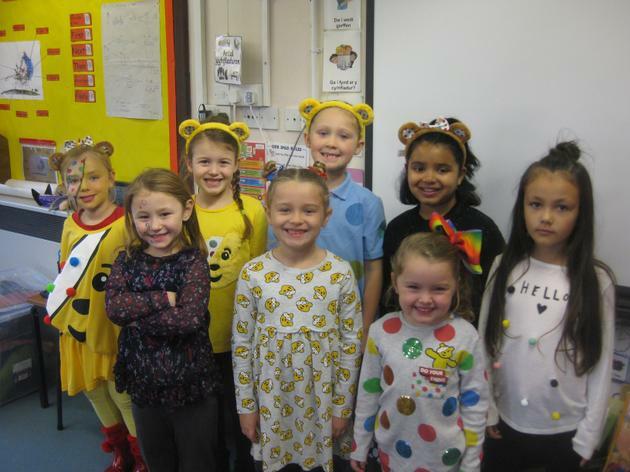 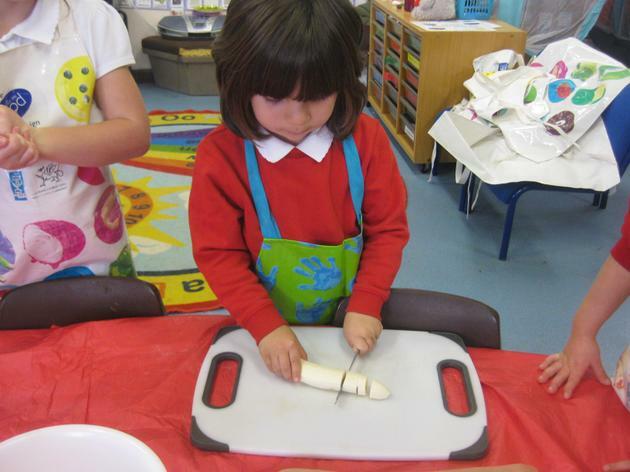 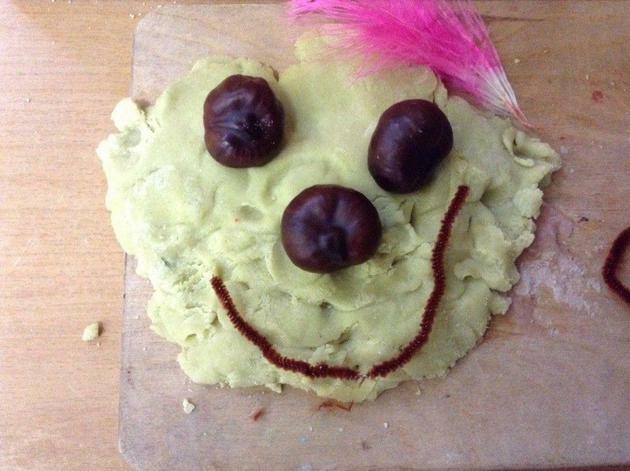 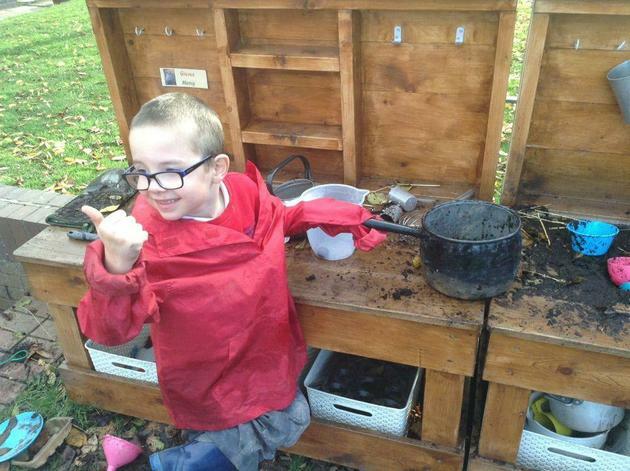 I'm sure you'll agree that the children did a fantastic job! 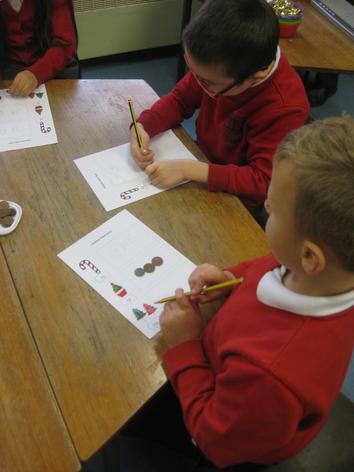 Our maths focus for this week was money. 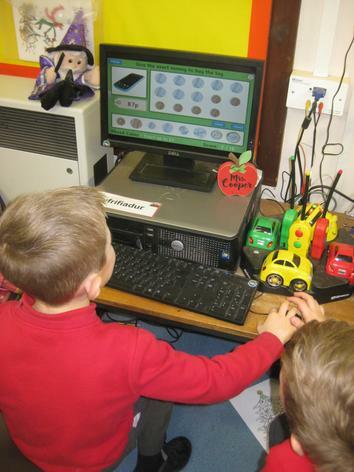 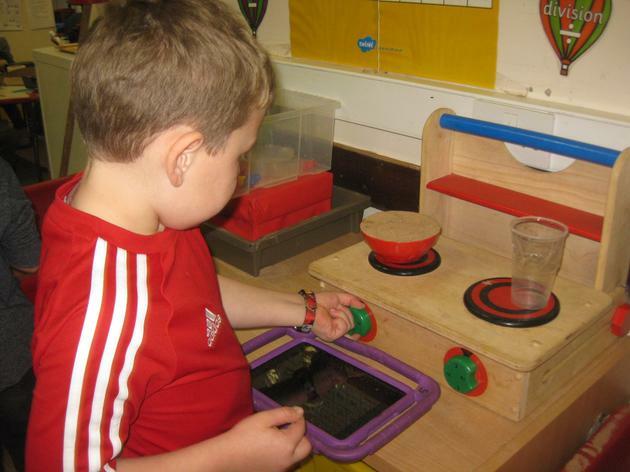 The children were working on recognising coins and paying for items costing up to 10p/20p/£1. 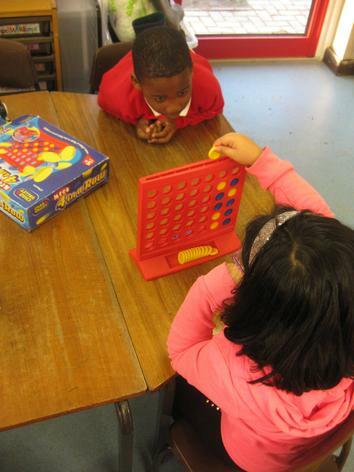 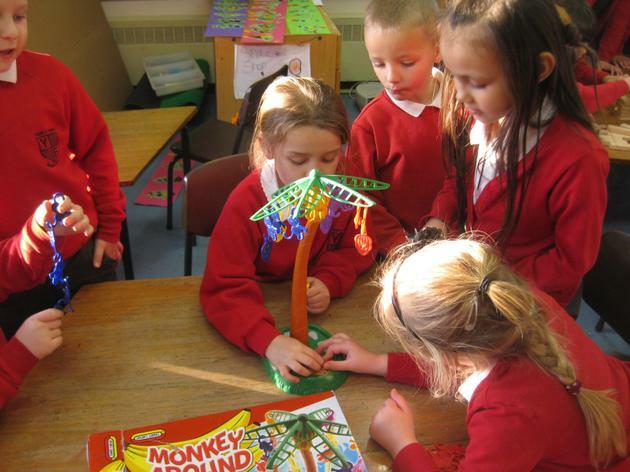 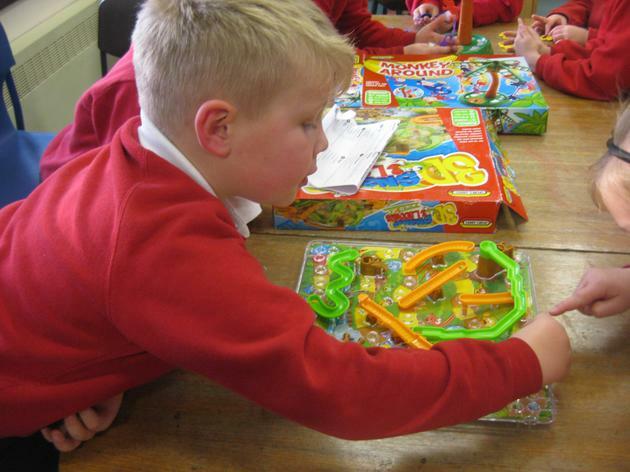 We played a fantastic game on the Topmarks website and I will add the link to the website on the games page. 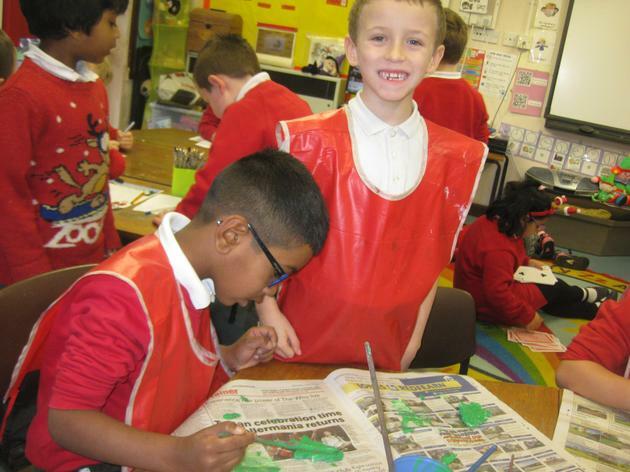 Some of the children have started to write newspaper reports pretending that we were alive for the first Christmas. 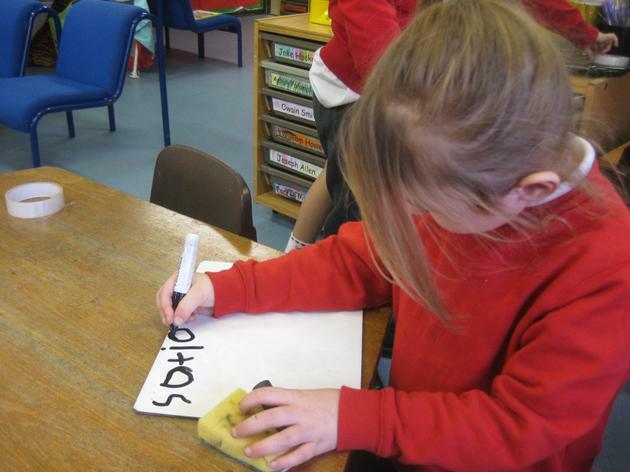 We had to plan what we wanted to say and some of the children have started to create their headlines. 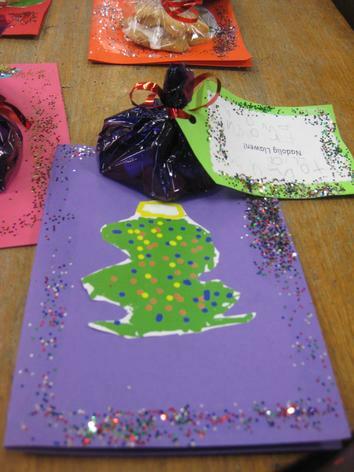 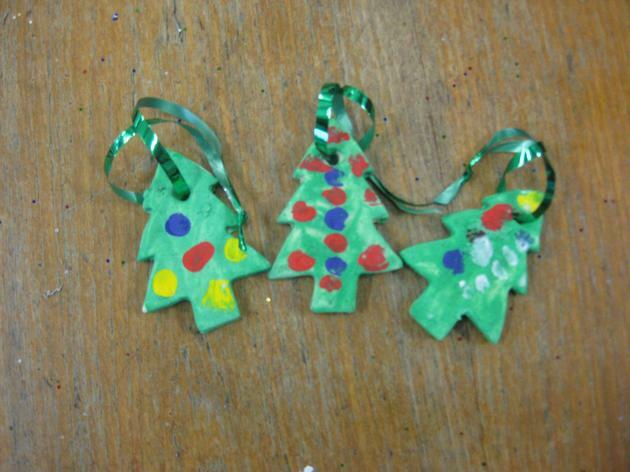 This week we also created our salt dough Christmas tree ornaments and Christmas party hats. 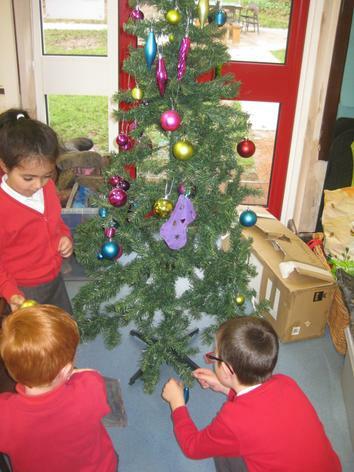 This week we have been busy perfecting our Christmas concert! 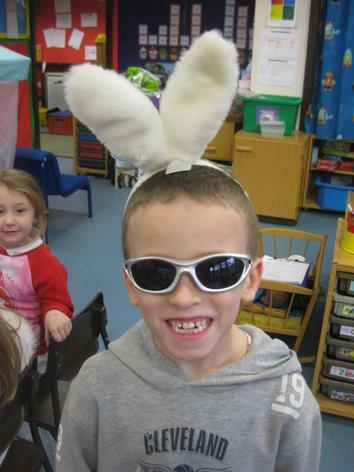 We had dress rehearsals on Wednesday and Friday and we can't wait for you all to see it! 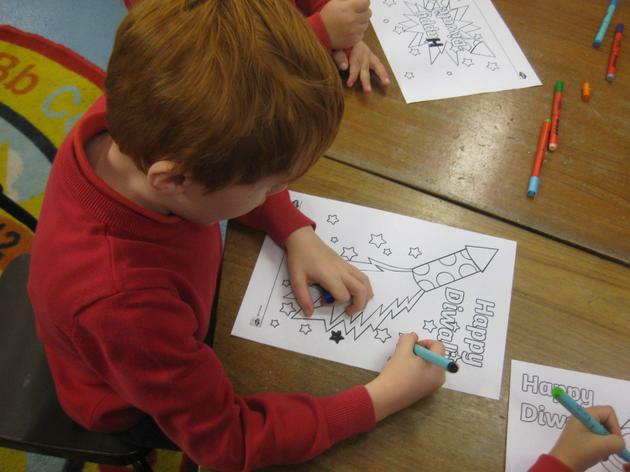 The children have been very excited this week about the start of December and the advent calendars that they have at home. 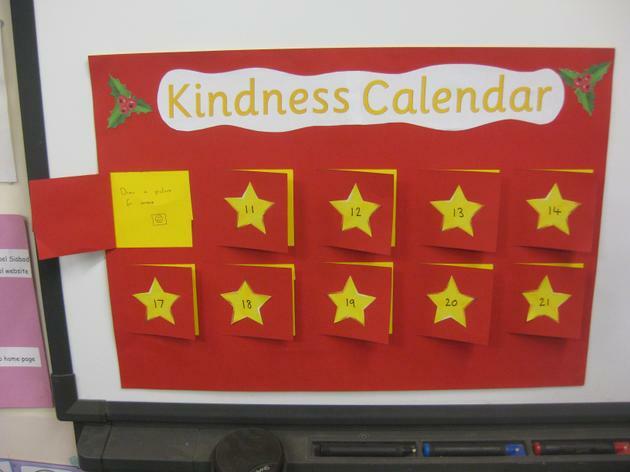 We decided to create our own advent calendar with kindness challenges to be completed! 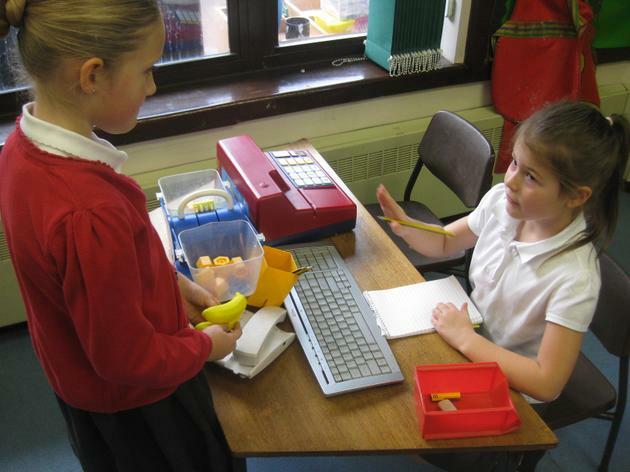 On Monday, we wrote down our ideas for the different kindness challenges that we could do. 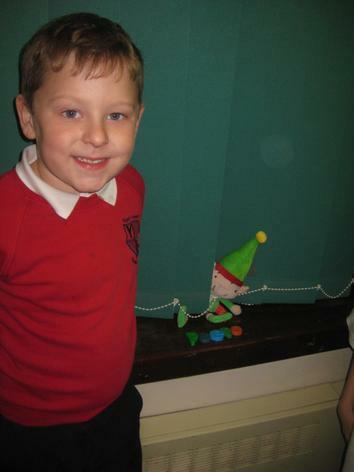 On Monday morning we were surprised by a little visitor from the North Pole. 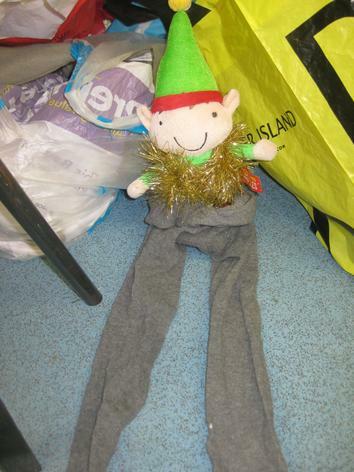 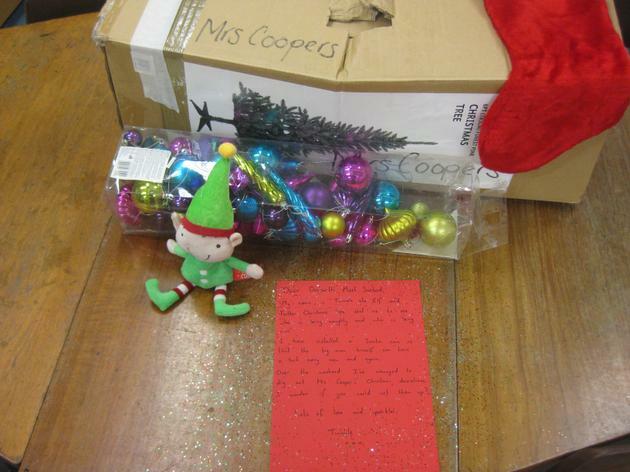 Twinkle the Elf has come to make sure we are all ready for Christmas and making sure that we are on our best behaviour! 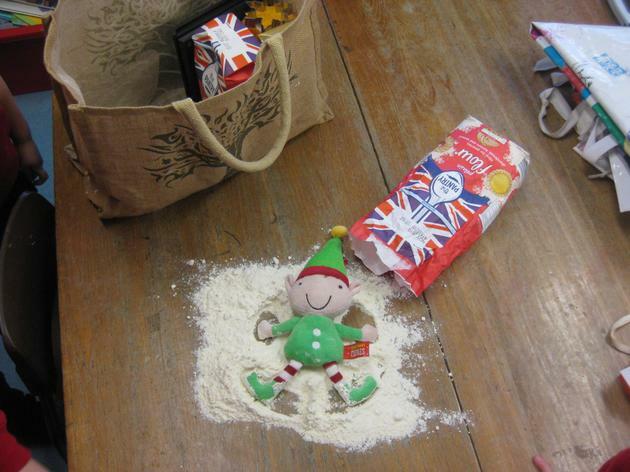 He's been quite cheeky this week and gotten himself into all sorts of mischief! 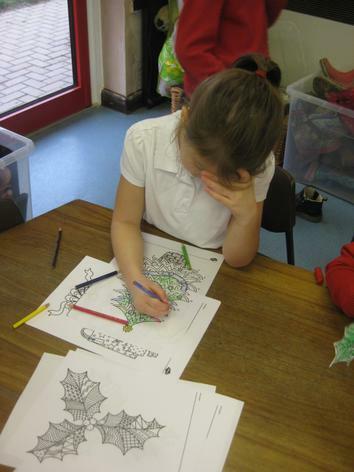 On Tuesday we started our Christmas cards. 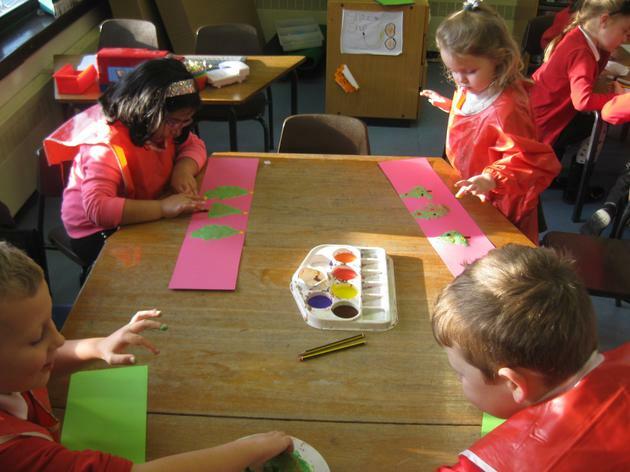 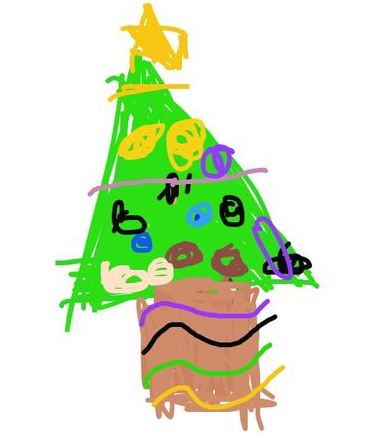 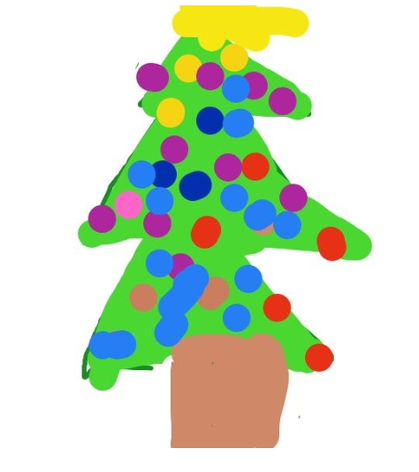 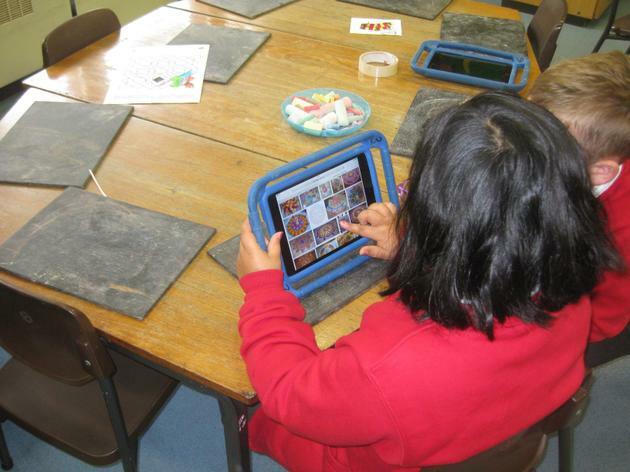 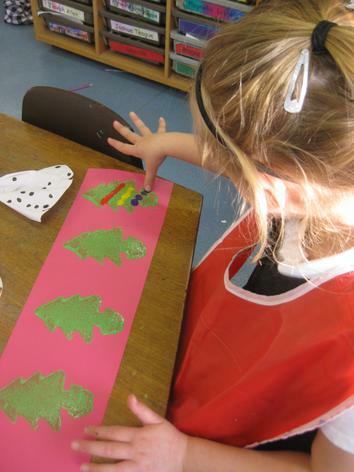 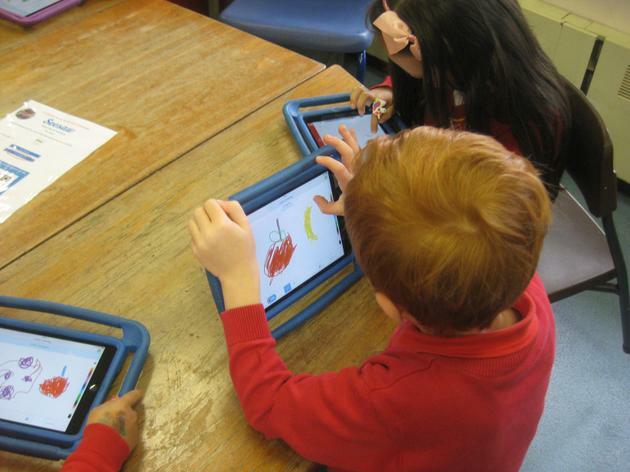 This year we have decided to draw Christmas trees on the iPads that we can then print, cut out and glue to a card. 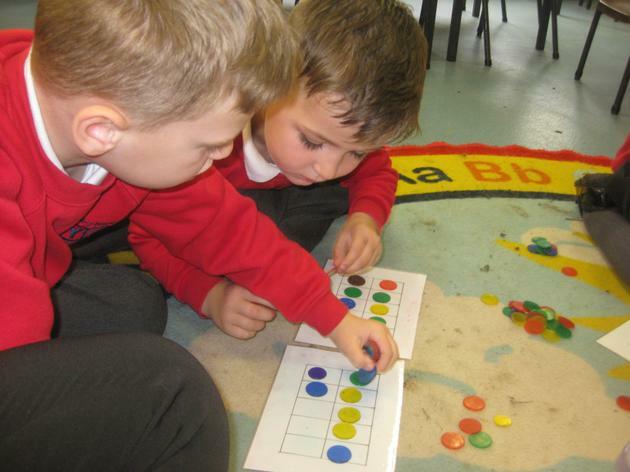 Our maths focus for this week has been counting in 10s. 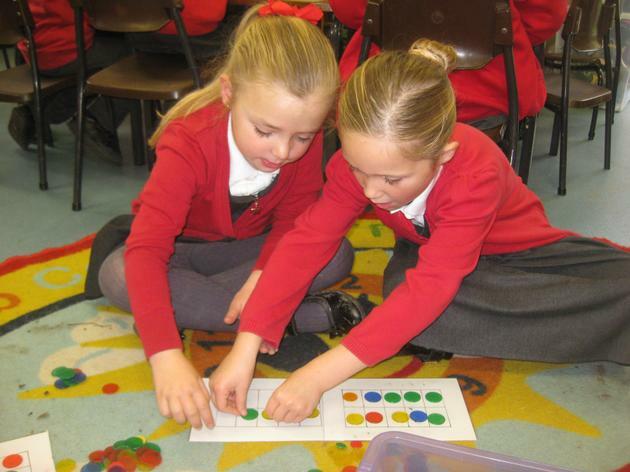 Some pupils went on to multiplying and dividing by 10. 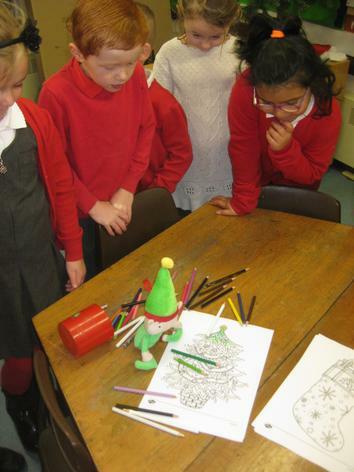 Towards the end of the week we all had a go at a problem solving activity involving Father Christmas's elves. 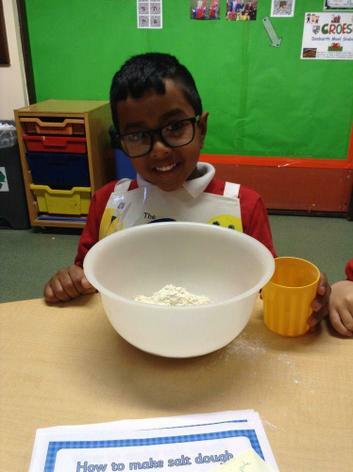 One of the elves wanted to bake cookies for his friends and we had to work out how many boxes of cookies he would need if 10 cookies fit into each box. 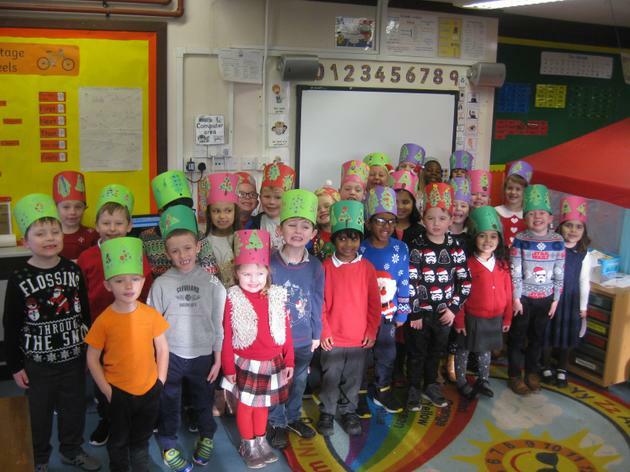 Christmas concert rehearsals are now in full swing and the children can't wait for you all to see it! 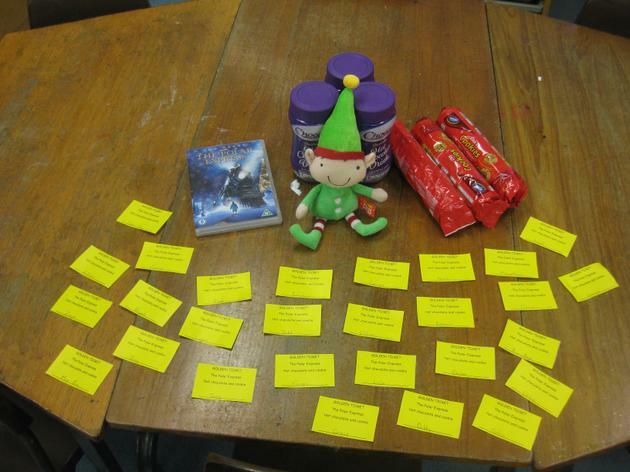 This week we completed any outstanding work linked to Mrs Armitage and moved on to a new topic text - 'Polar Express'. 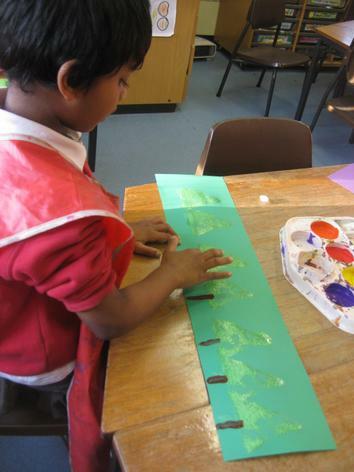 We listened to the story and discussed all the things that the people saw from the train. 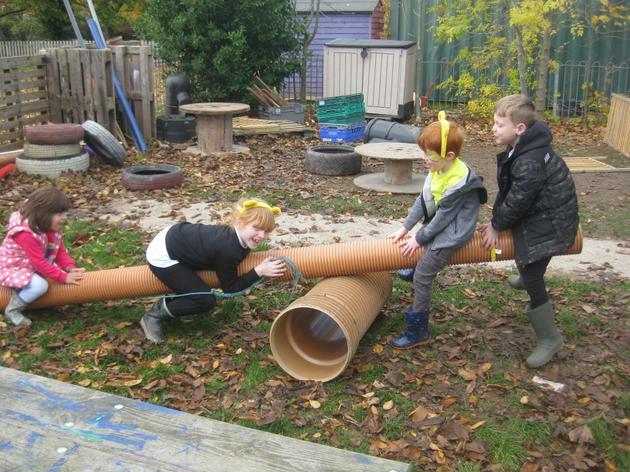 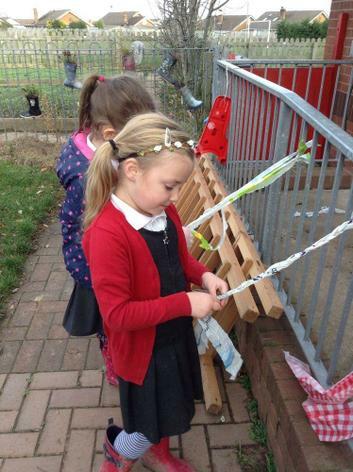 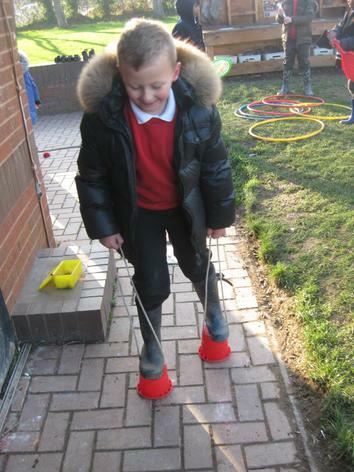 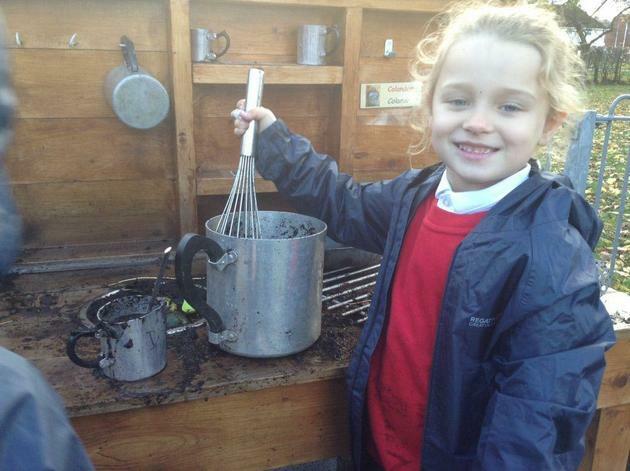 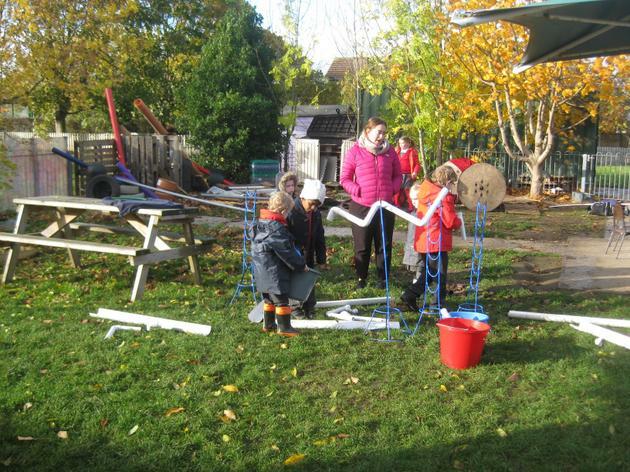 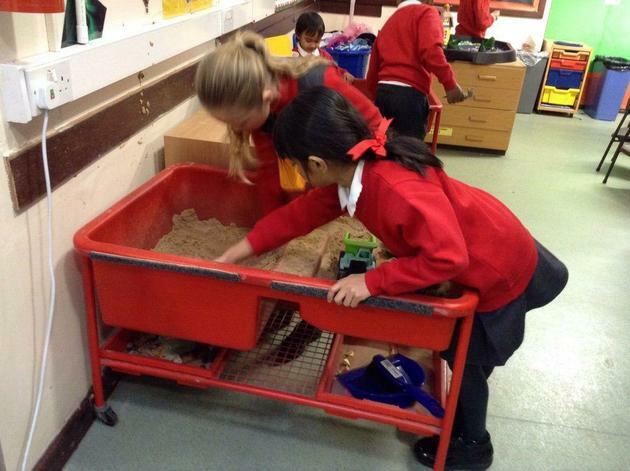 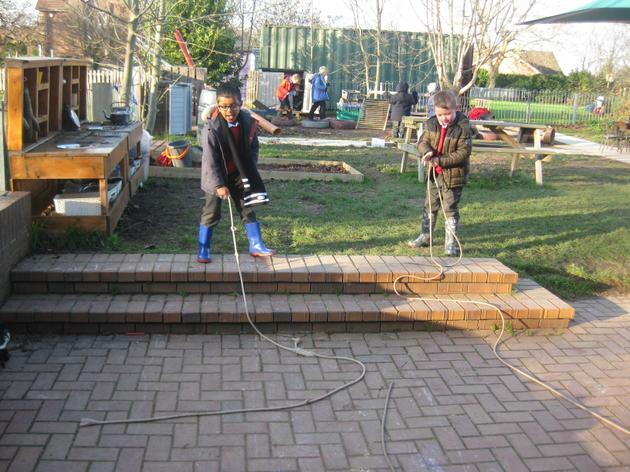 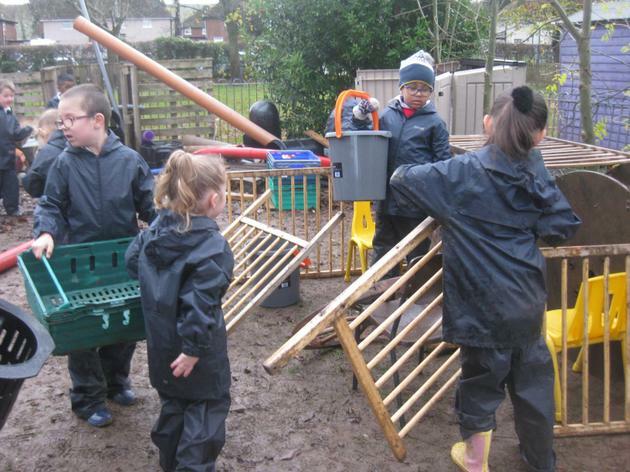 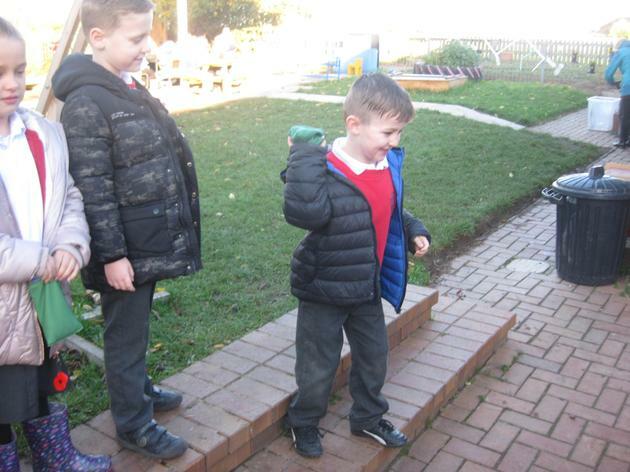 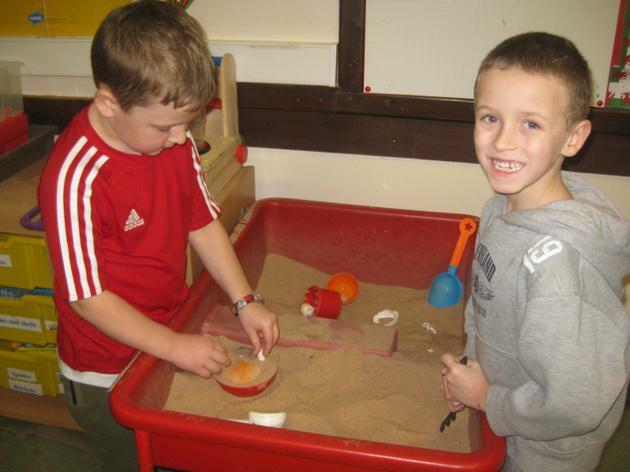 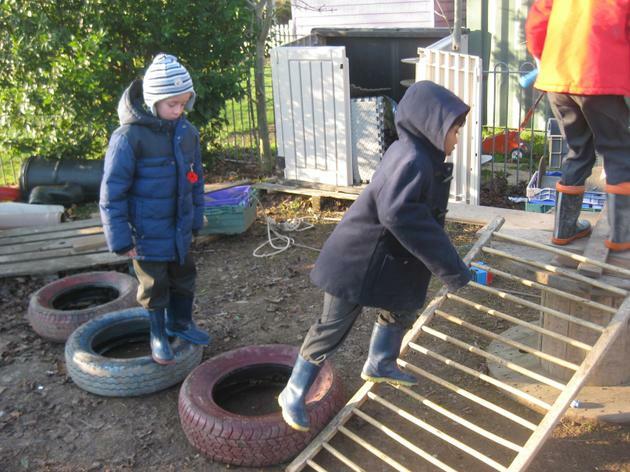 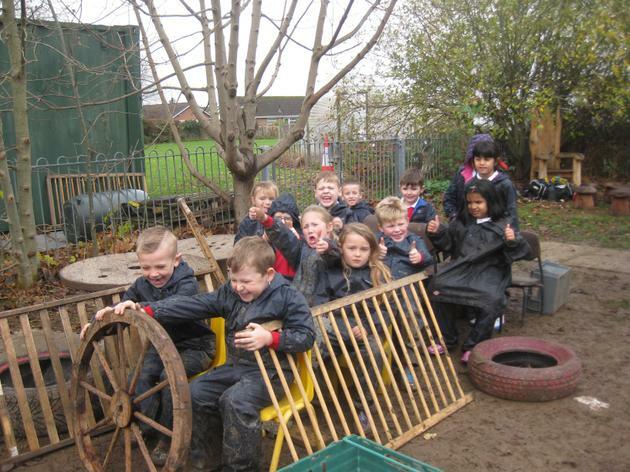 We worked in the garden to build our own Polar Express trains and role played our journeys. 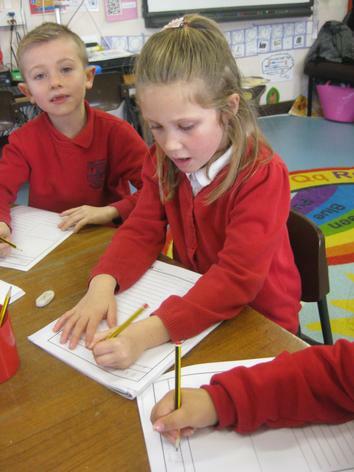 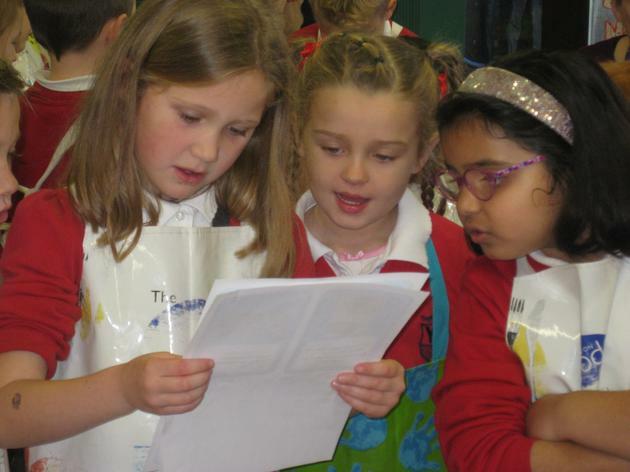 We then went on to write about all the things that we saw and learned how to use adjectives. 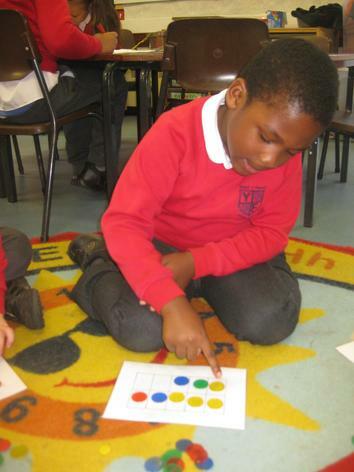 In maths we worked on addition and subtraction. 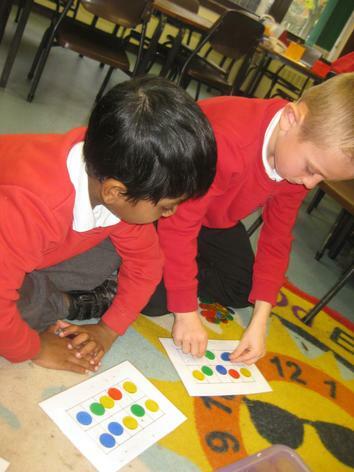 Some of the children were working with numbers up to 100 with the base ten resources. 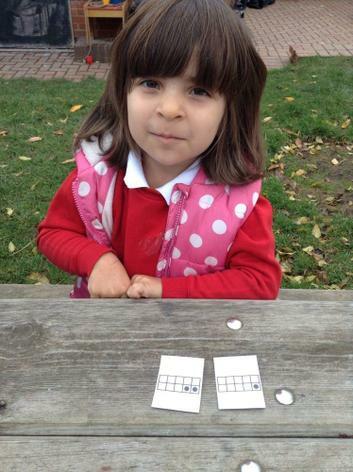 We learned how to exchange units for sticks of ten. 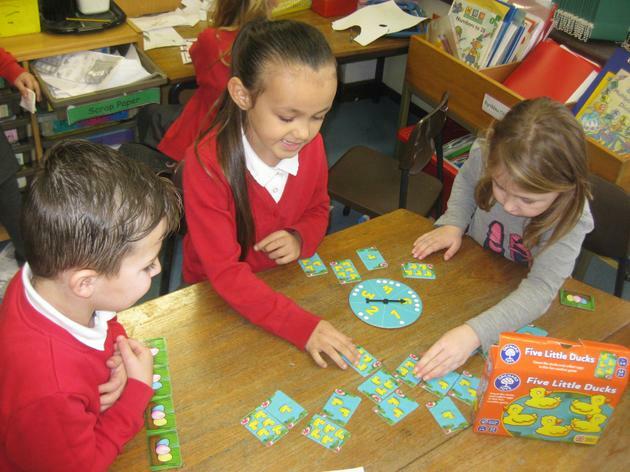 We then used known number facts to help us with quick addition to play a board game (e.g. 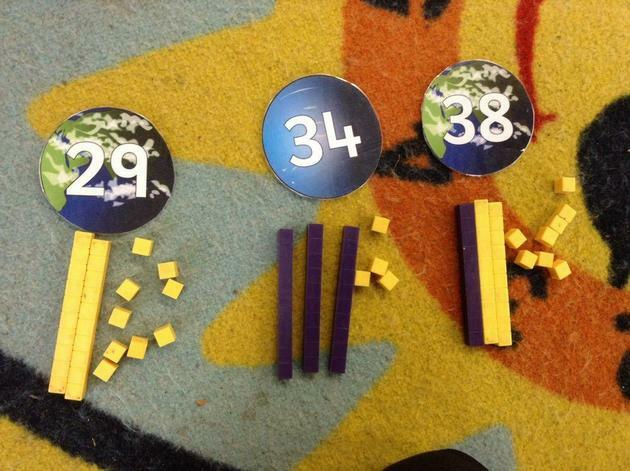 we know that 5 + 3 = 8, so 15 + 3 = 18). 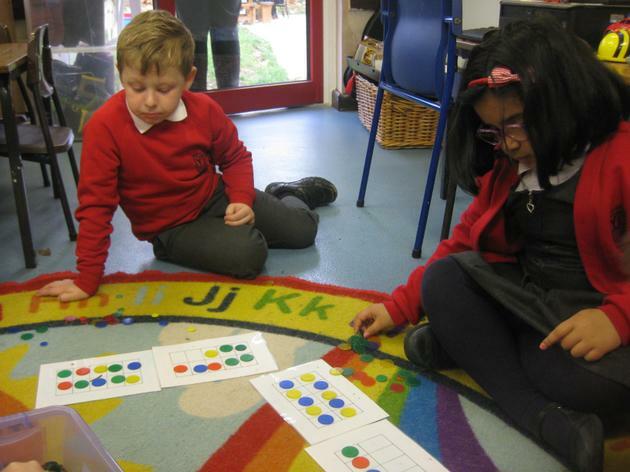 Other groups focused on addition using numbers up to 10/20 with the ten frames. 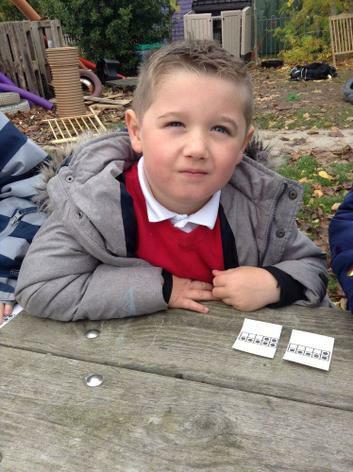 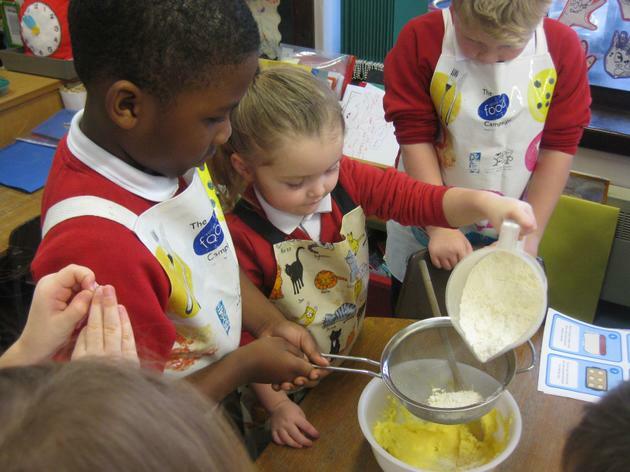 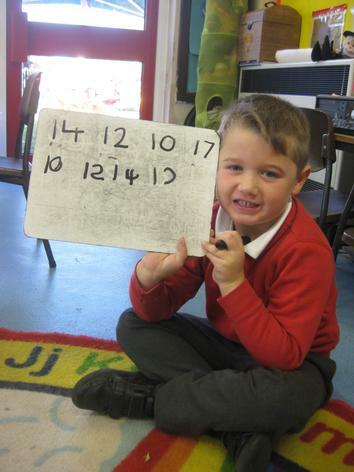 By Friday we started work on subtraction and we heard a lovely Boo Zoo story all about Kevin's missing buns. 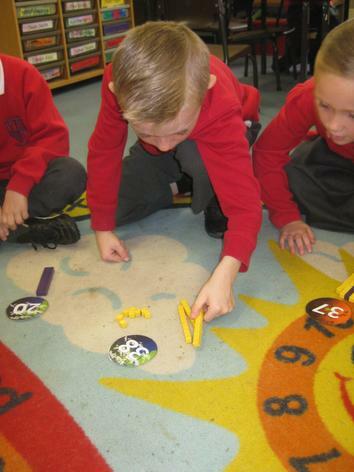 We role played the cheeky pigeon stealing the buns from Kevin's basket and worked out the related subtraction calculations. 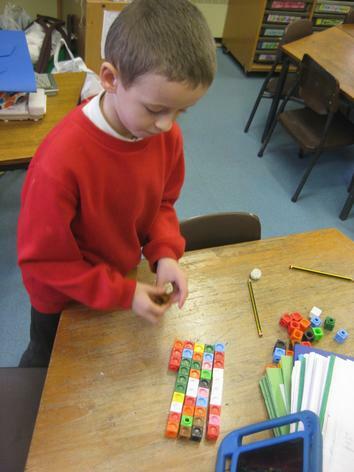 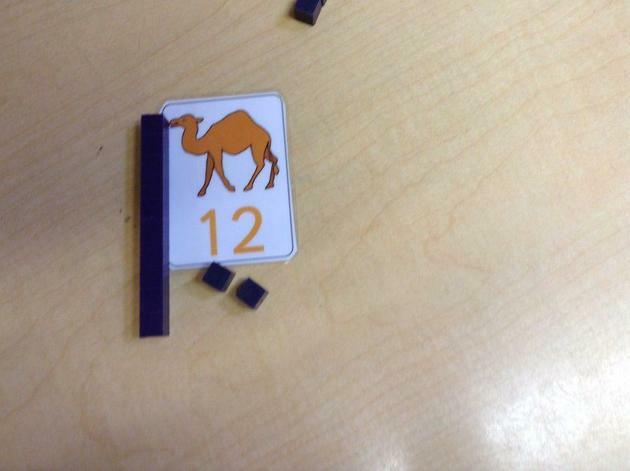 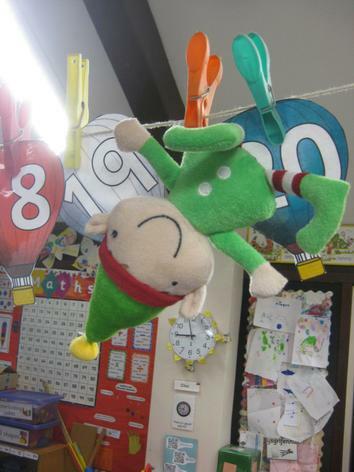 This week our maths focus was recalling 1 or 10 more/less than any given number up to 10/20/100. 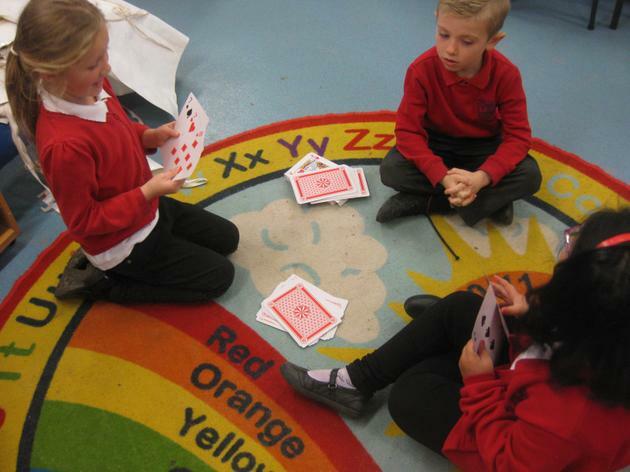 We played lots of games to help us remember what more and less mean. 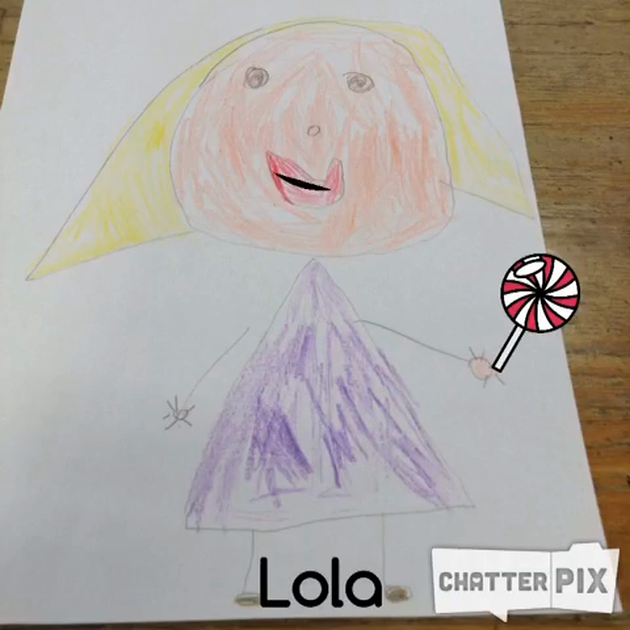 For our literacy focus we used an app called Chatterpix to make drawings of our story characters look like they are telling our own stories based on Mrs Armitage. 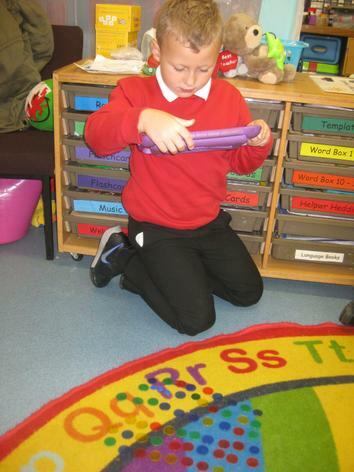 We had to be careful when recording our stories as the timer ran out after 30 seconds! 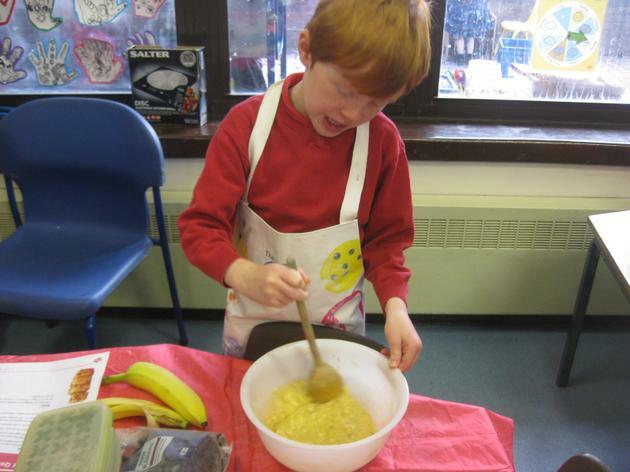 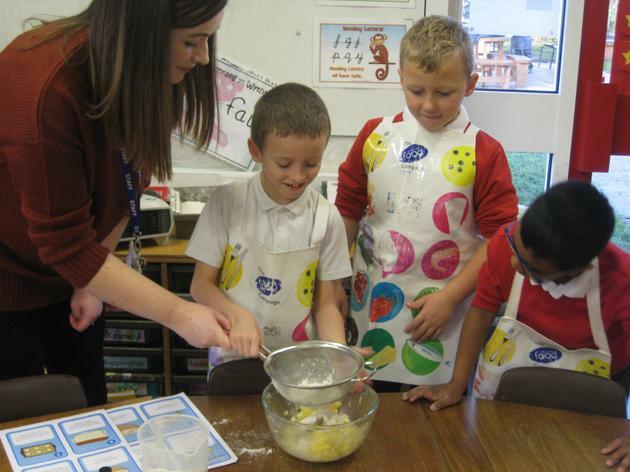 Towards the end of the week we focused on healthy diets, since Mrs Armitage was running out of energy with all the cycling she was doing! 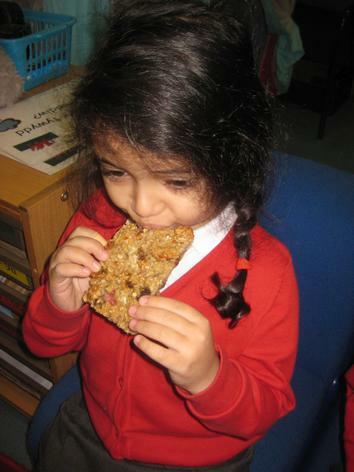 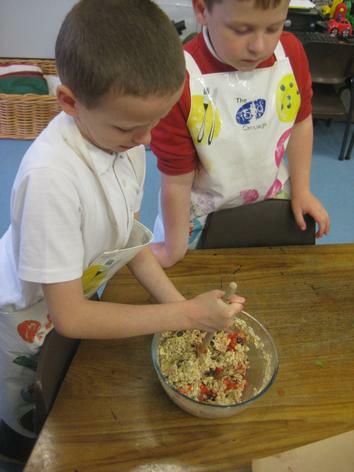 We followed a recipe to make strawberry breakfast bars. 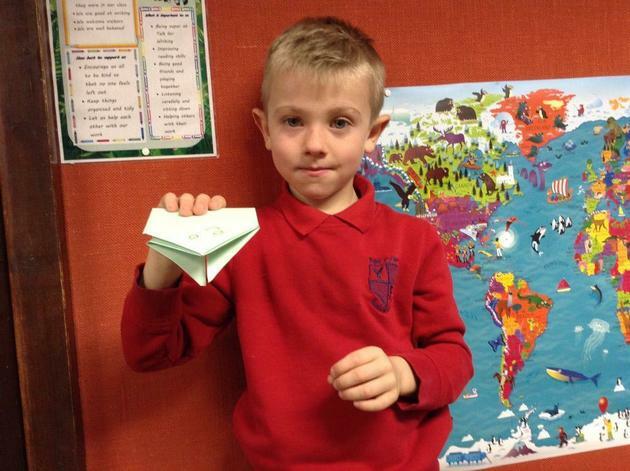 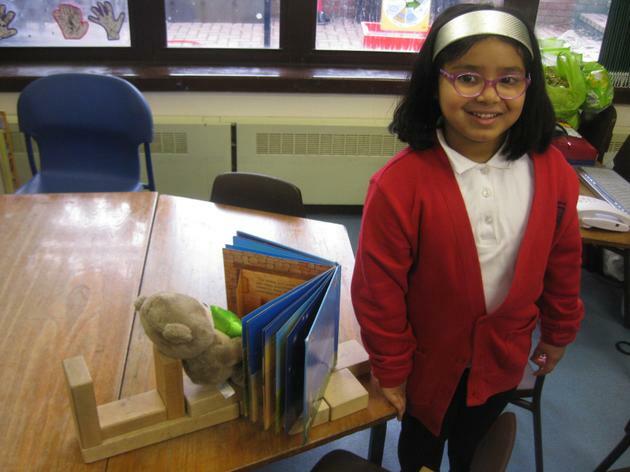 Thank you for all your help with the homework over the last week! 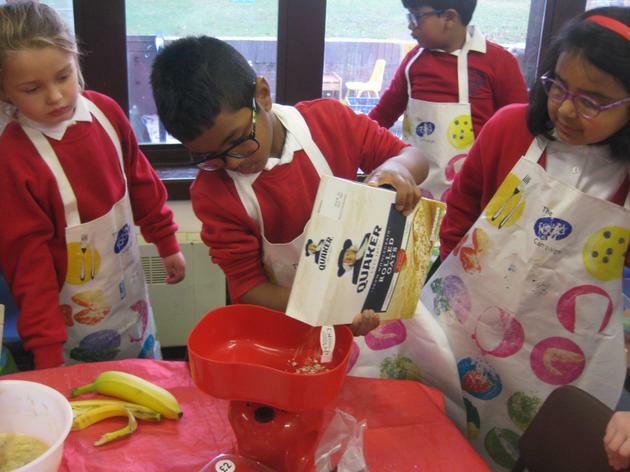 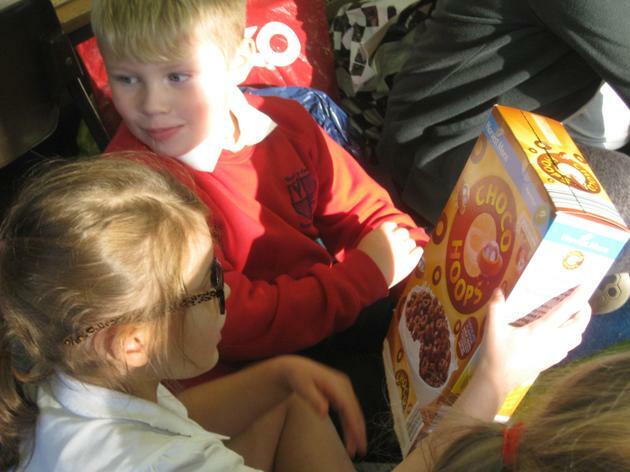 On Thursday we looked at the traffic light nutritional values on the food packaging brought in from home and discussed what they mean. 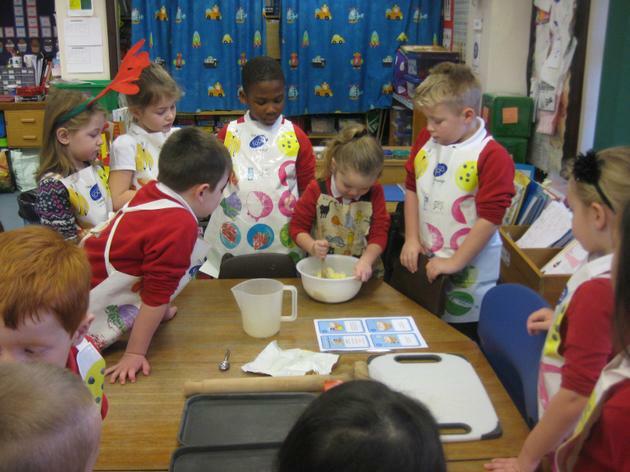 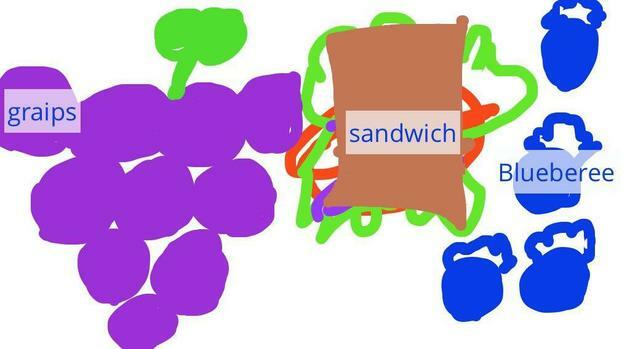 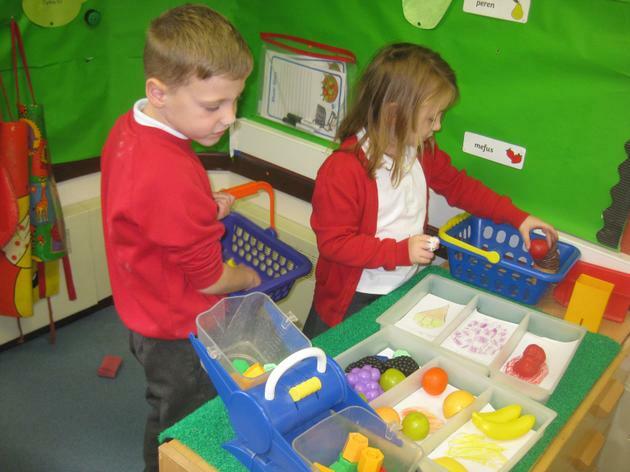 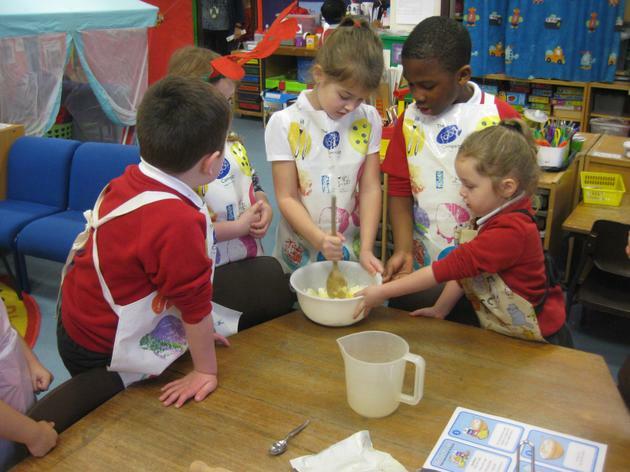 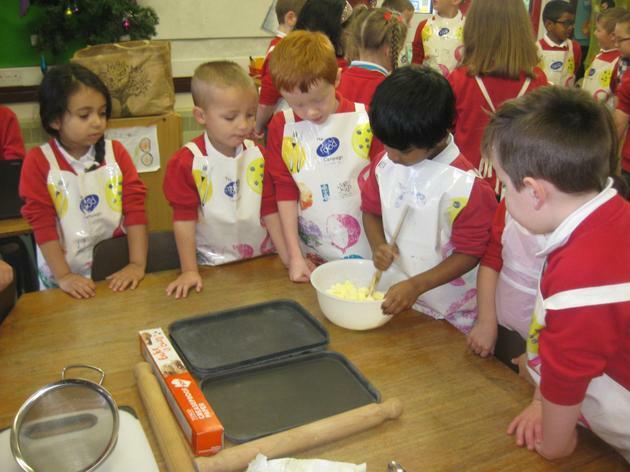 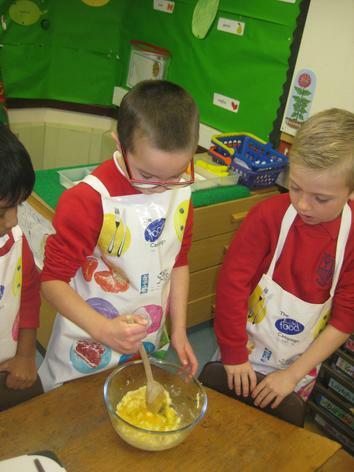 We sorted the food into foods that we can eat a lot of and foods that we should only have as a treat. 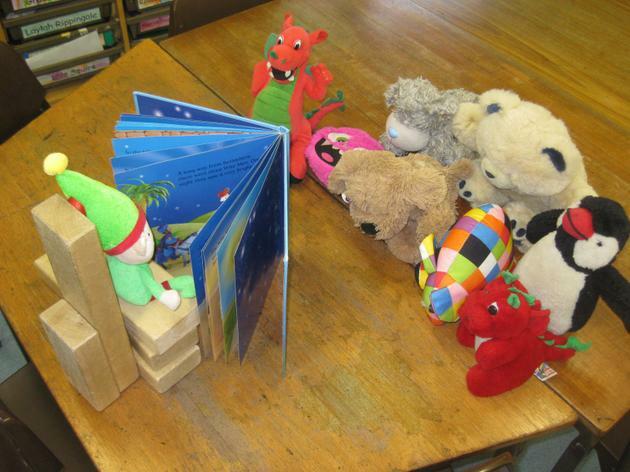 We then recorded this in our books. 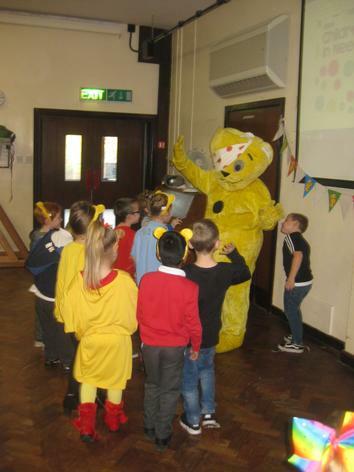 In Welsh, we learned to ask the question 'Ble mae...?' 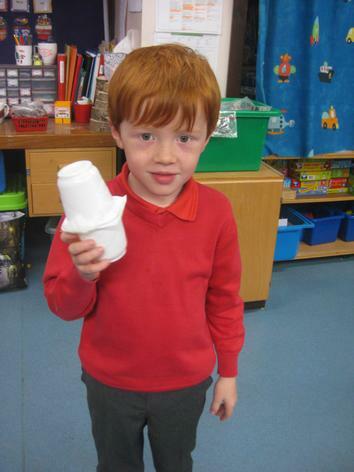 We used one of our class puppets called Del and asked each other 'Ble mae Del?' 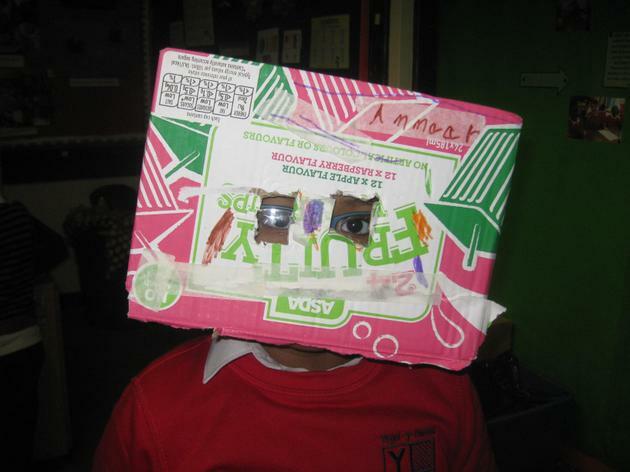 We had to describe her position using the words 'yn y' (in the), 'ar y' (on the), 'tu ol' (behind) and 'o flaen' (in front). 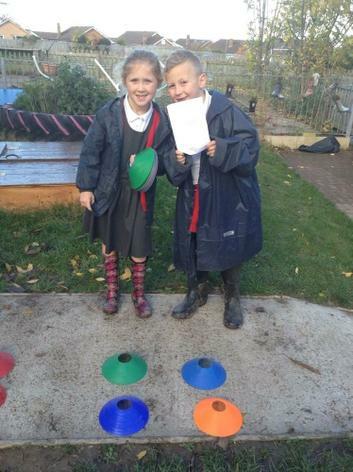 In PE we started our gymnastics unit by learning how to do a frog hop and creating frog hop sequences with a partner. 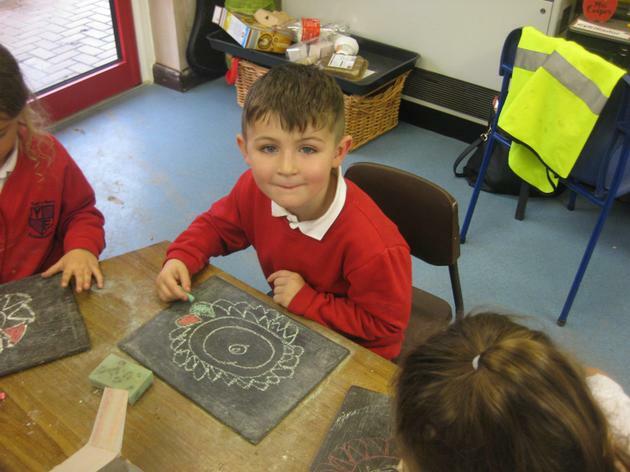 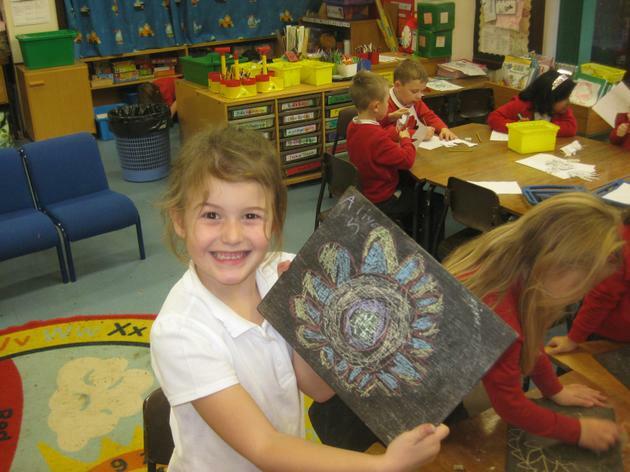 This week we learnt about the Hindu festival of Diwali. 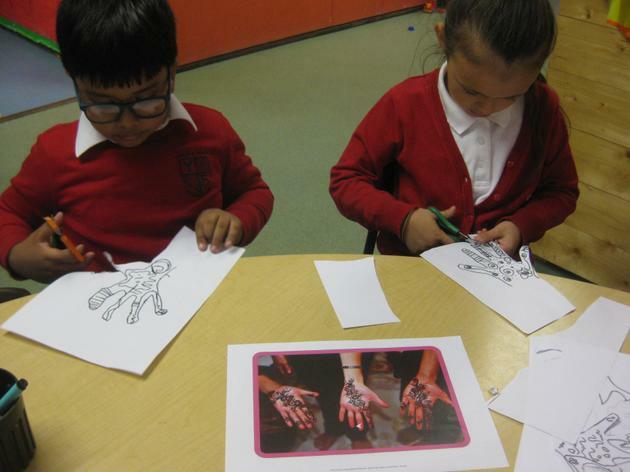 We read the story of Rama and Sita, and looked at images showing how some Hindu's celebrate the festival. 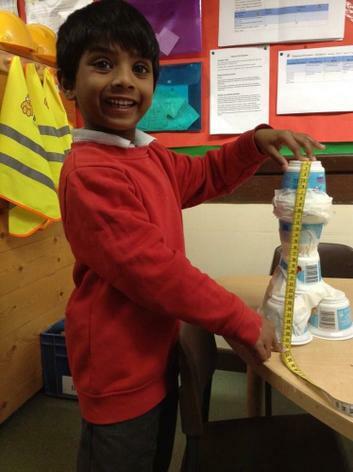 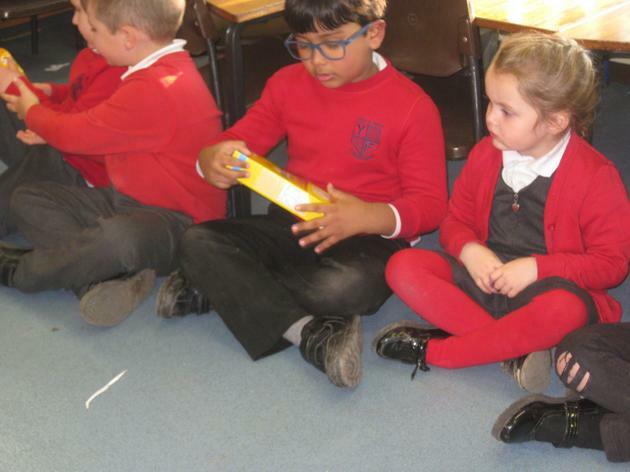 Some of the children in our class celebrate Diwali and they told us all about their family celebrations. 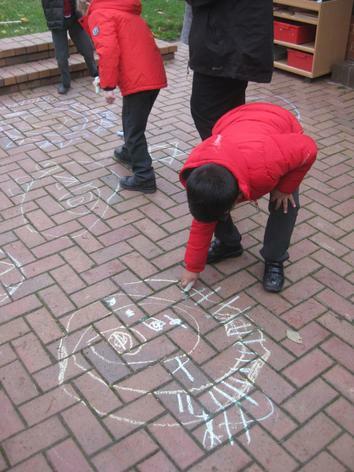 We drew rangoli patterns with chalk. 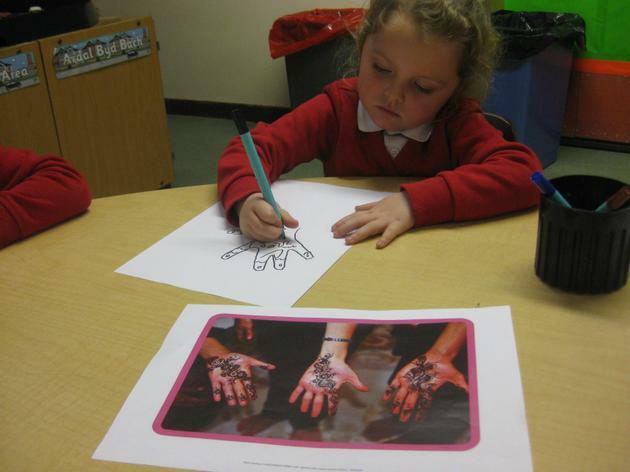 We created our own mendhi patterns. 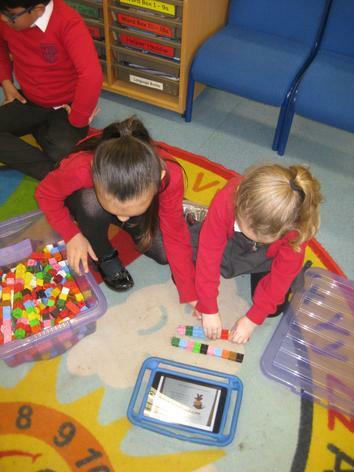 In maths, our focus for the week was place value. 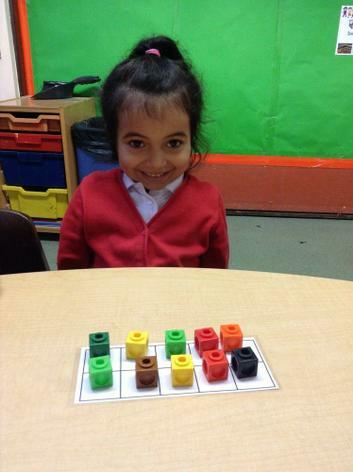 We used ten frames to build numbers so we could see the importance of place value (93 looks very different to 39!) 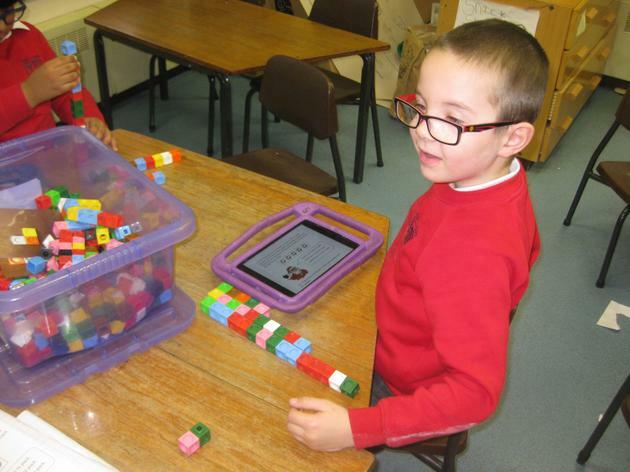 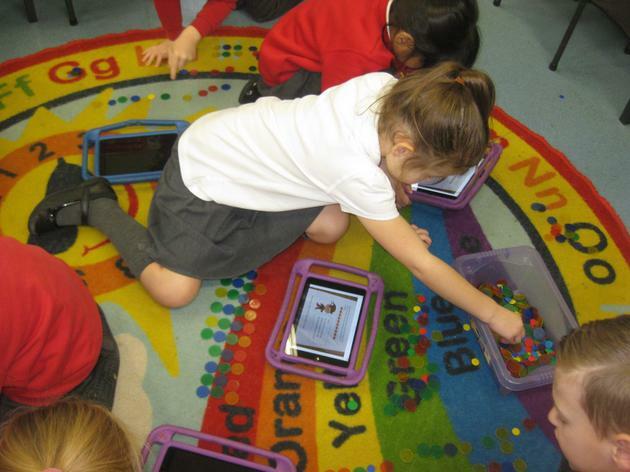 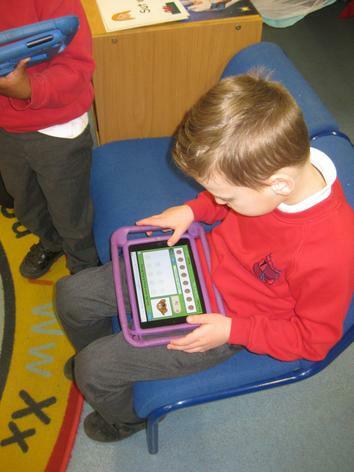 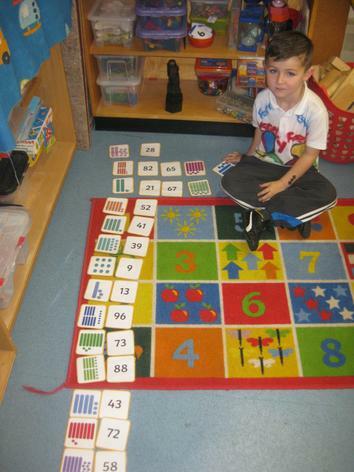 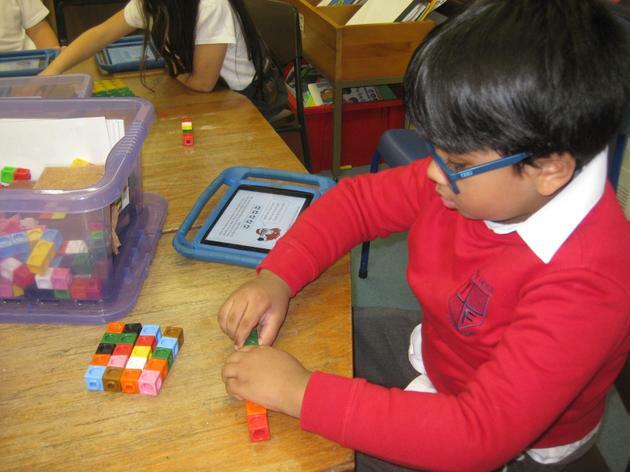 Later in the week some of the children used the base ten resources to build and compare two digit numbers. 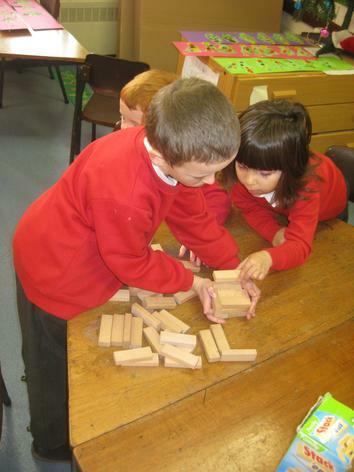 In Welsh we practised asking 'Ga i...?' 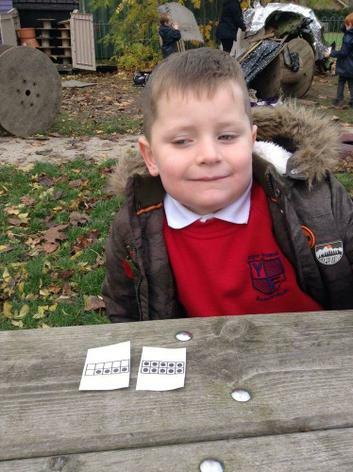 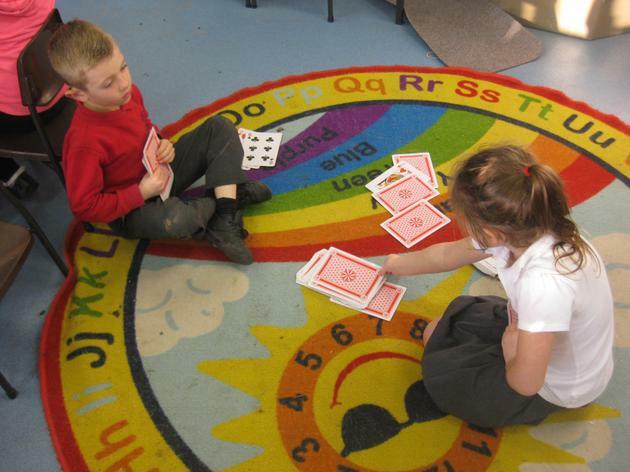 Some of the children chose to play 'Mewn Pysgodwch' (Go Fish!) 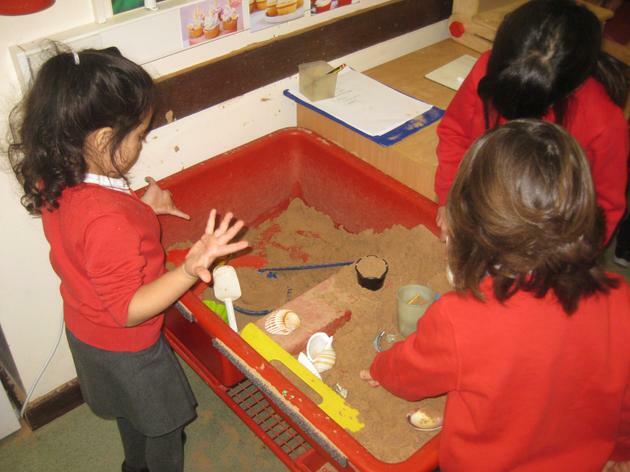 using the 'Ga i ...?' 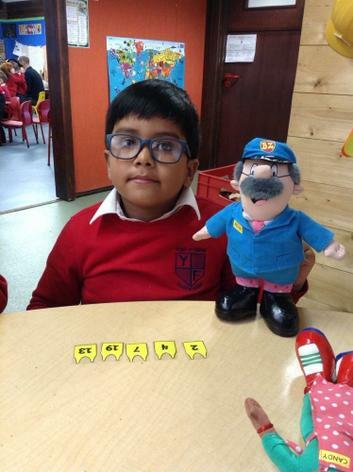 sentence pattern. 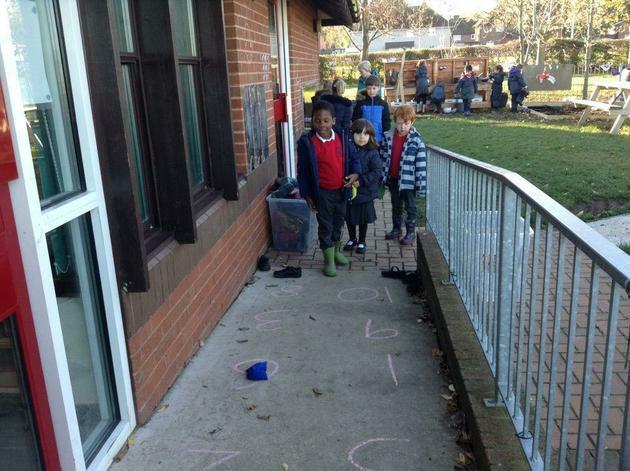 On Friday afternoon we learned about Remembrance Day. 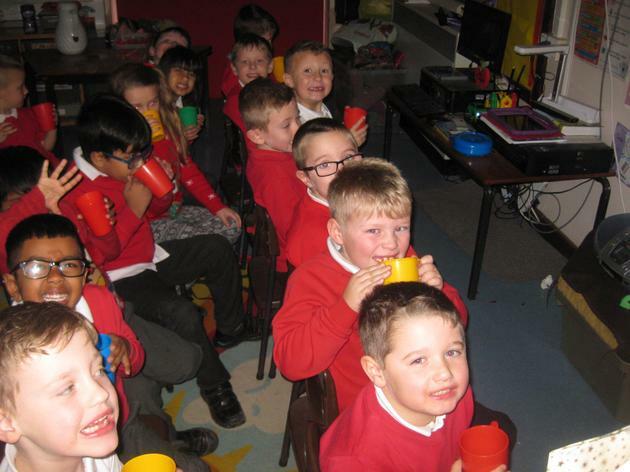 We watched a video clip that showed the meaning of the poppies that people wear and then discussed our own knowledge and experiences. 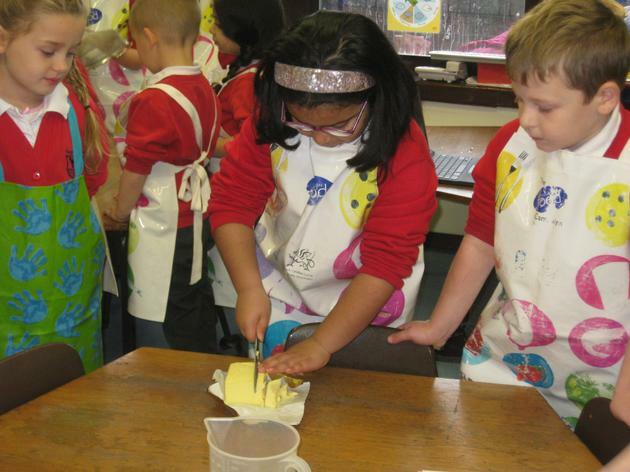 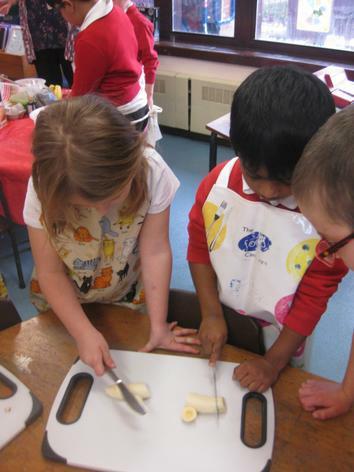 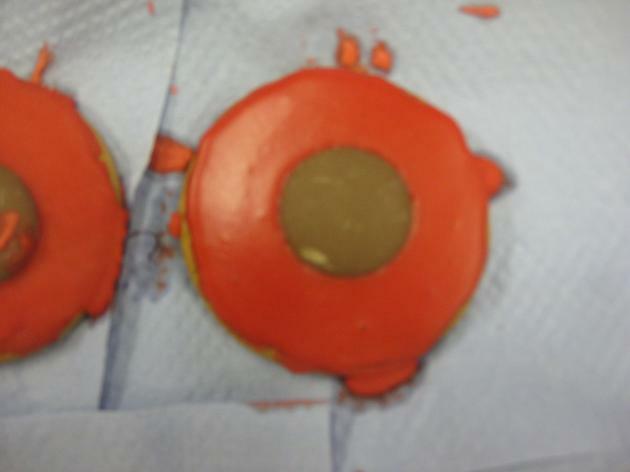 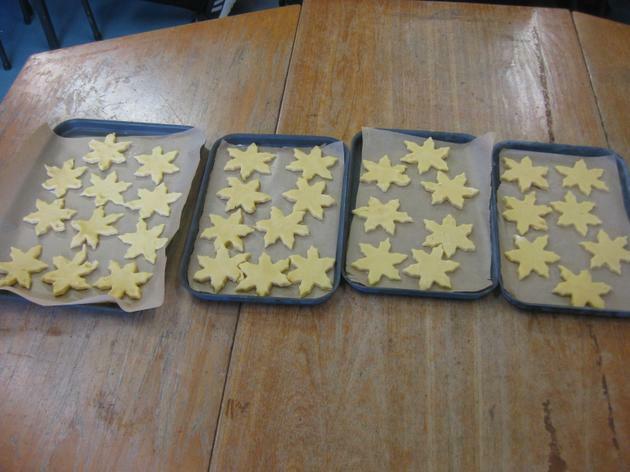 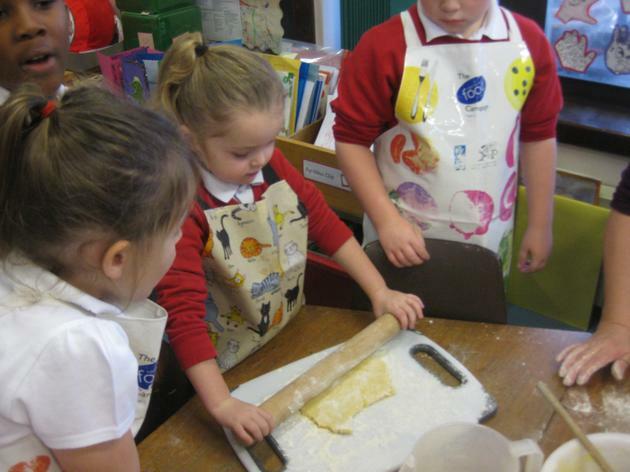 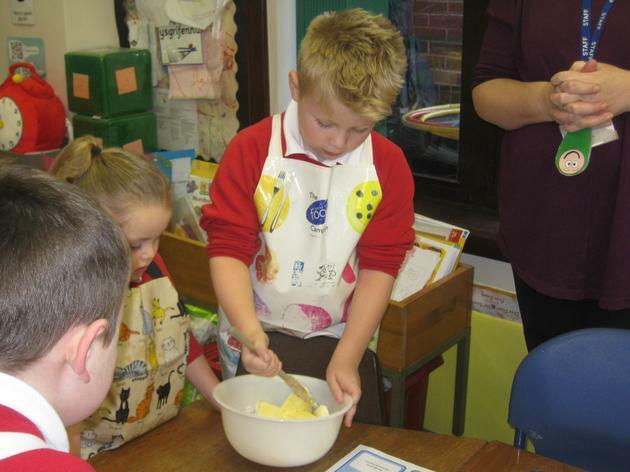 We then decorated poppy biscuits to take home. 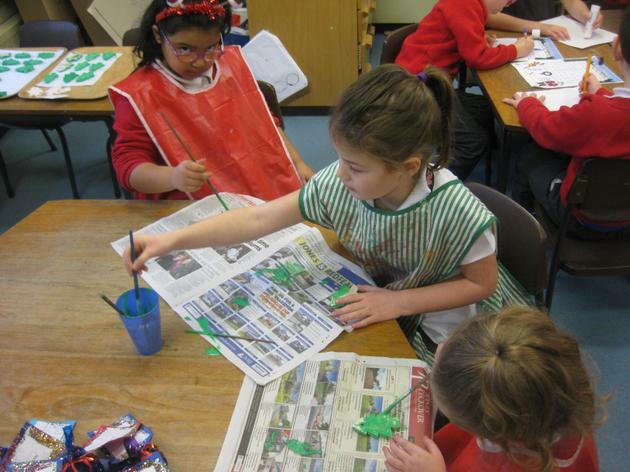 We also found some time to do a little bit of work based on Mrs Armitage this week! 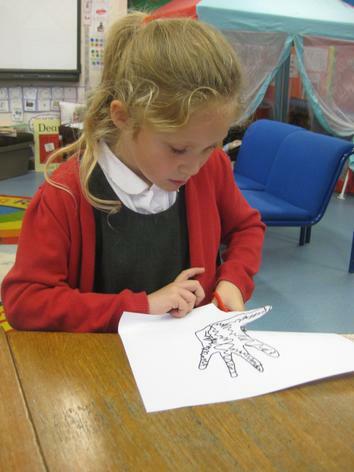 We practised using the story pattern to create new stories about our own characters. 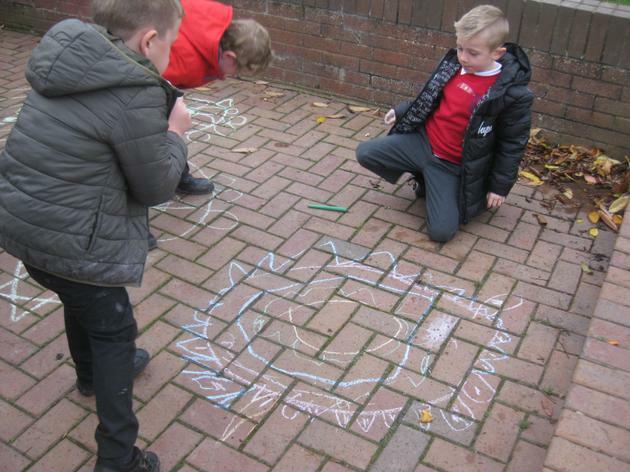 We drew the story maps to match our new stories.